Pick up point will be Bagdogra railway station/ airport where you will drive to Gangtok, capital of Sikkim. On arrival, check in the hotel and spend evening in the hotel. Enjoy overnight stay at Gangtok. 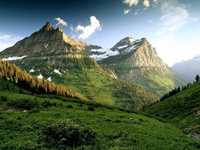 In early morning you will leave for Tsomgo Lake, situated at a high altitude near Indo-China Border. You can play with snow and enjoy Yak riding along with the scenic beauty of this alpine lake. Then you can proceed to Baba Harbhajan Singh Mandir by road. 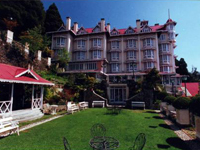 Return to the hotel in the evening and enjoy overnight stay at Gangtok. Next morning, visit famous places of Gangtok and start your tour with Government Institute of Cottage Industry which is closed on Sunday. Then you can visit Sikkim Research Institute of Tibetology, Dod Url Choten and Orchid House Flower Show in the afternoon. 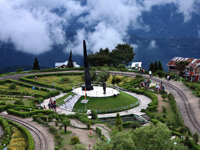 In evening, you will depart for Darjeeling which is 110 km away from Gangtok. Spend rest of the day at leisure and enjoy overnight stay at the hotel. 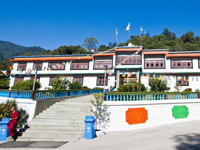 Spend full day at Darjeeling and visit famous places like Tiger Hill, Ghoom Monastery and Batasia Loop. After lunch you can visit Mountaineering institute, Gombu Rock, Tenzing Rock, Lebong Race course Area and Tea Garden. In evening you can return to Darjeeling and go for shopping on the Mall. Enjoy dinner and overnight stay at the hotel. In morning, you will depart from Darjeeling by road to Bagdogra railway station/ airport.